ProudCity Platform login is managed through Auth0, a security-compliant leader in user account authentication and authorization, ensuring privacy and identity protection when accessing web and mobile applications. These are important features for government, as they seamlessly provide and enforce best practices in web login security without you having to understand all of these and address them on your own. ProudCity user account: Login using your username/password created through the ProudCity Platform. 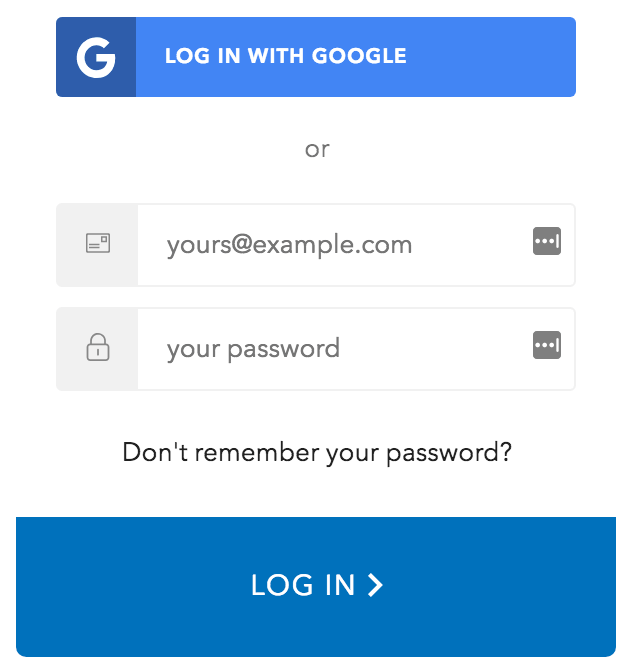 Google: Login with your Google G Suite or Gmail account, authenticated when you first created your ProudCity Platform account. Check your email (Subject: ‘Reset your password.’), follow the URL link to change password. If you do not receive the email, check your spam folder. You can often resolve login issues yourself by understanding the potential issue and troubleshooting. Reset your password (see instructions above): If you do not receive an email, try the ‘Log in with Google’ option if you haven’t already. If you continue to have login issues after troubleshooting, please submit a support ticket using your ProudCity login email. ProudCity is a digital government platform that makes it easy and cost-effective to launch and manage all aspects of digital government operations, including websites, online forms and payments.